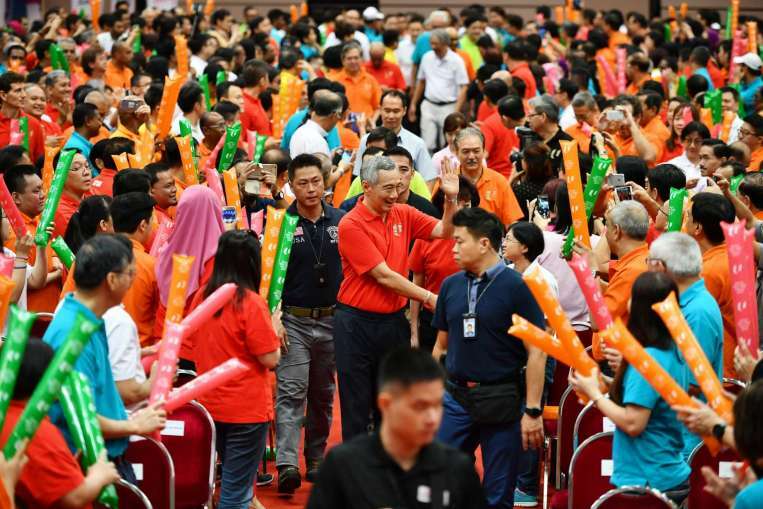 Jobs must be a key focus for Singapore to stay relevant and thrive in a more challenging global economy, Prime Minister Lee Hsien Loong said at the May Day Rally. He outlined three key strategies yesterday: Creating new jobs, finding alternative jobs for displaced workers, and training workers to grow in their jobs to prepare for the future. Leading the charge to implement plans to ensure key industries can transform and create jobs is the next generation of ministers. Mr Lee announced that Finance Minister Heng Swee Keat will be chairman of a Future Economy Council. On it are ministers S. Iswaran, Chan Chun Sing, Ong Ye Kung and Lawrence Wong, and a number of younger ministers. Their task is to implement the recommendations of the Committee on the Future Economy, which in February released its report on how Singapore can prepare for the long term, including through Industry Transformation Maps. I am putting them in charge of this strategic effort. It is a deep transformation. It will take time, it will extend beyond this term of government. 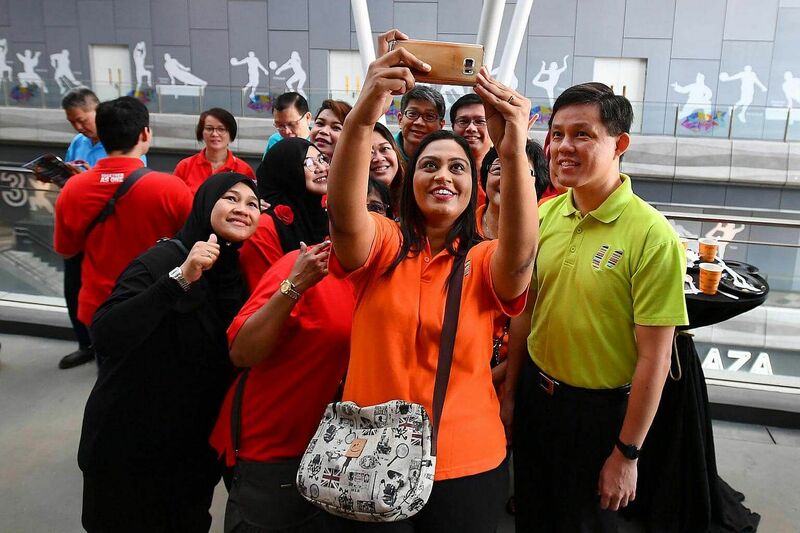 It is an opportunity for the younger ministers to work closely together as a team, strengthen their bonds with employers and unions, and with each other, and show Singaporeans what they can do. 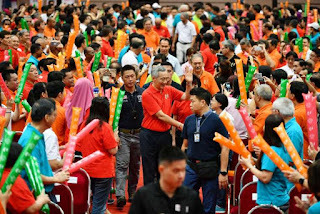 It is their generation of leadership who will have to work with Singaporeans to take the country to new heights. 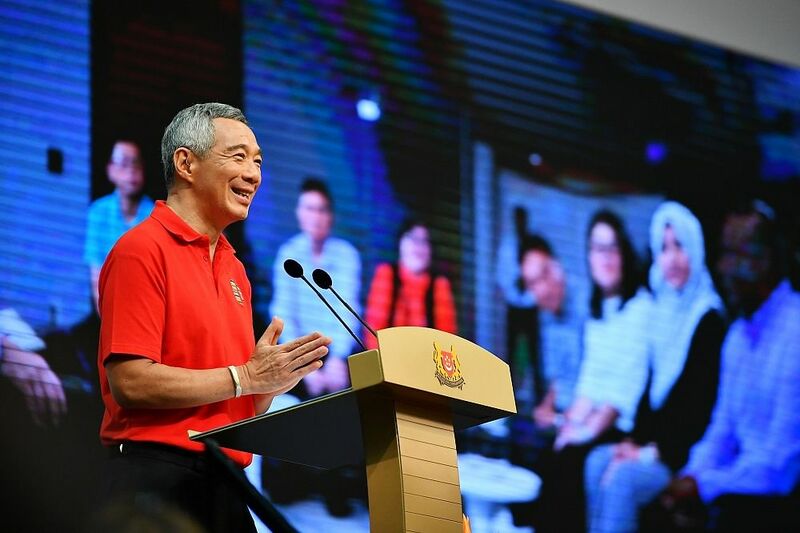 PRIME MINISTER LEE HSIEN LOONG, on fourth-generation ministers being included in the Future Economy Council. Mr Lee said the council's work will take time, beyond the current Government's term. It is also a chance for younger ministers to work as a team, as their generation will be leading Singapore forward. He noted that while the mood for Labour Day celebrations was better than last year's, risks remained, like that of a global trade war. Singapore's unemployment rate may rise further as the country faces pressures similar to those in other developed countries - industries restructuring, the workforce ageing, and older workers who lose jobs taking longer to find new ones. "We have got to understand this trend but, at the same time, we have to work hard to resist it, to keep our workers in jobs," he said. The first strategy of creating new jobs entails bringing in new businesses and investments and upgrading existing companies. This has been Singapore's winning formula for 50 years, for without a business-friendly climate, there will be no new jobs, Mr Lee noted. He cited recent projects like Google's new campus and its work to help train small and medium- sized enterprises to go digital. Second, workers who lose their jobs, especially professionals, managers, executives and technicians, must be helped to find alternative ones. Various schemes have been expanded to match workers to jobs and help them switch, but workers should be open-minded and flexible, he said. Employers have to be open to hiring mature workers too. Third, workers must get support to upgrade their skills and knowledge, as fellow workers elsewhere are catching up fast. Mr Lee cited how union leaders on a visit to Chengdu, China, were struck by how driven workers there were. He said: "Unless we are as hungry as them and as determined as them to upgrade ourselves, and willing to put in as great an effort, our cheese will be stolen." "We have to make that effort, we have to strive and we have to keep our position," he added. Mr Chan, the labour chief, said the labour movement was reaching out to help a wider pool of workers beyond union members. The strong three-way partnership between unions, employers and the Government is a key strength for Singapore, said Mr Lee, enabling it to transform its economy time and again to stay relevant. "If we strengthen the tripartite system and remain united," he said, "we can overcome the challenges and emerge stronger."